I need to build a scene in which minifigures are picking litter. The figures should be holding a tool which represents a litter-picker - i.e. a pole about one arm's length long, which a claw at the end. I'm guessing I can use mechanical minifigure hands for the claws - by taking them from a robot figure or such like. But is there a 'pole' piece which the grabbing claw could slot into the end of? 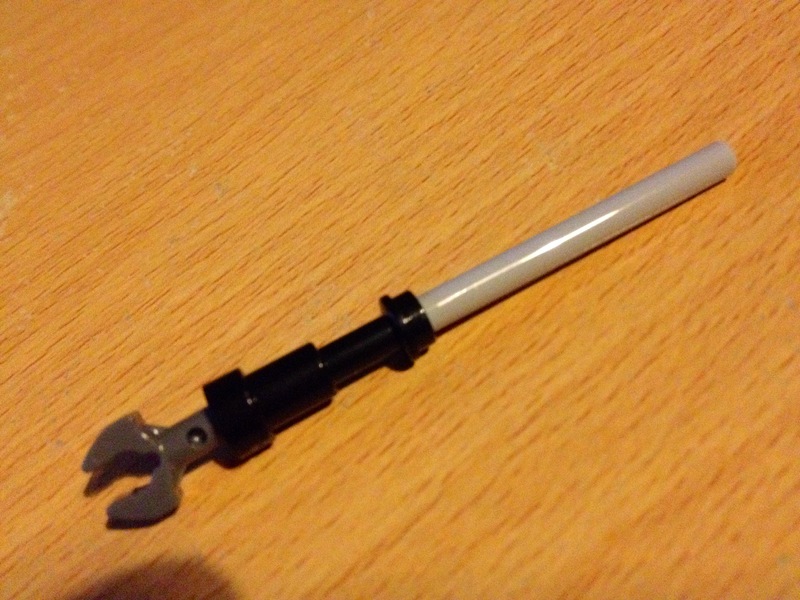 Better still, did Lego ever make a tool which looked like a litter-picker? That'd save time! I came up with a solution I'm quite happy with - using a staff / rod, connected to a mechanical claw using a 'telescope' to join them together.